The Challenge: Ensworth School is a kindergarten through 12th grade school with two campuses (upper and lower schools) in Nashville. They wanted an experienced company to survey alumni over a three-year period to measure alumni satisfaction. Deliverables: Measuring Success is providing survey instruments and ongoing dashboards to give Ensworth longitudinal data on alumni perceptions. 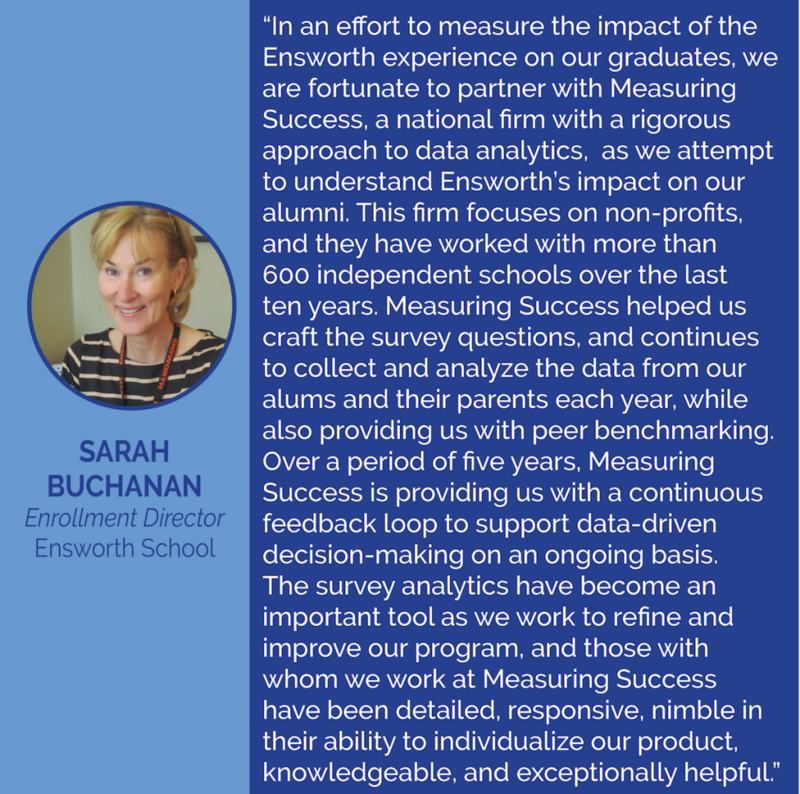 The Approach: Measuring Success worked with Ensworth to adapt the alumni survey to meet the needs of the school. After each survey and consultation, Measuring Success provides strategic marketing guidance to showcase the impact of Ensworth School(s).